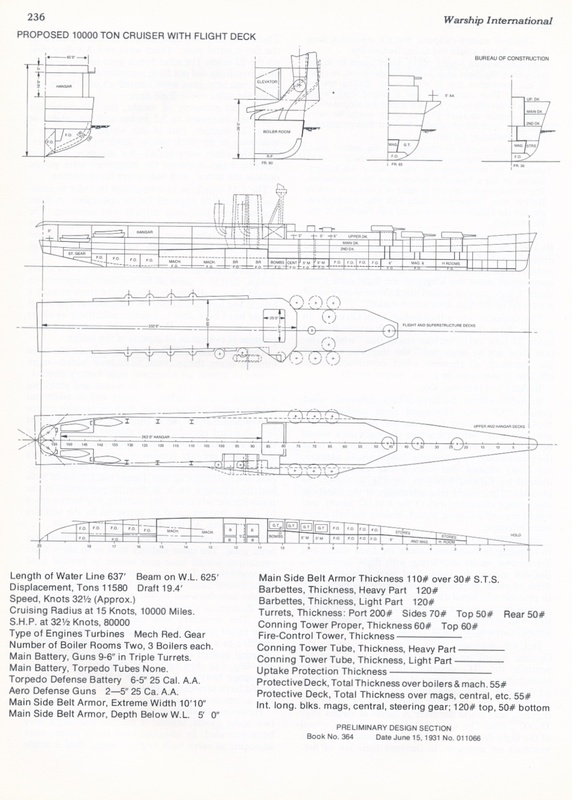 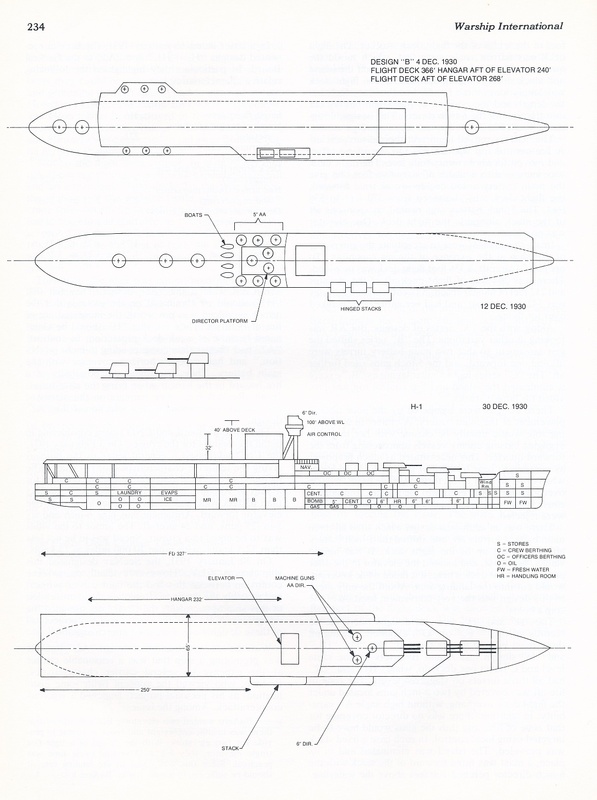 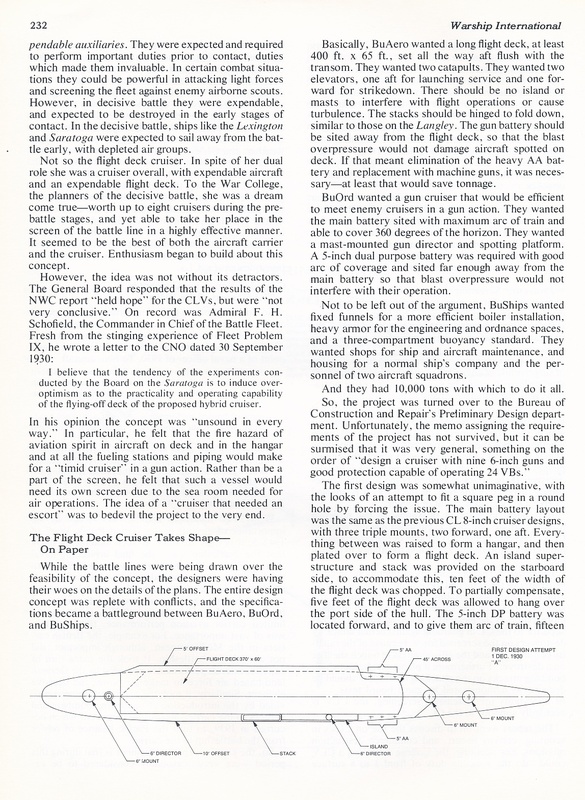 USN’s 1930 Flight deck cruiser designs. 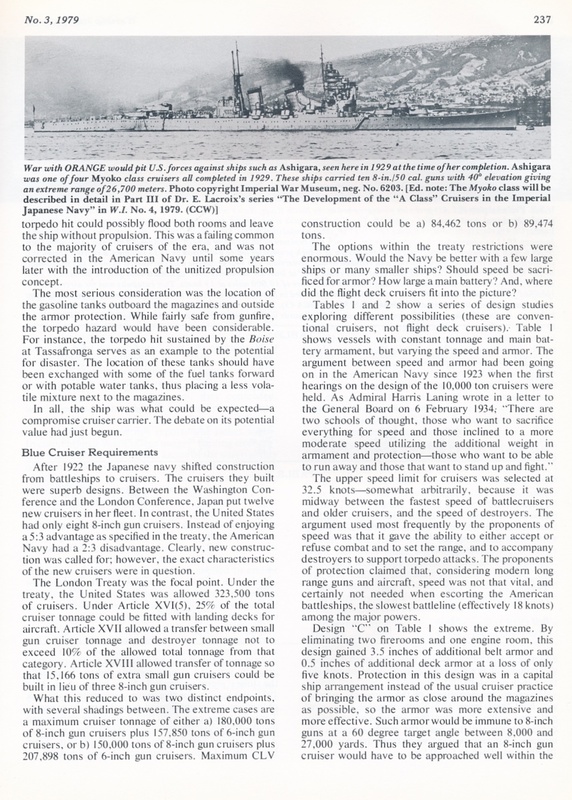 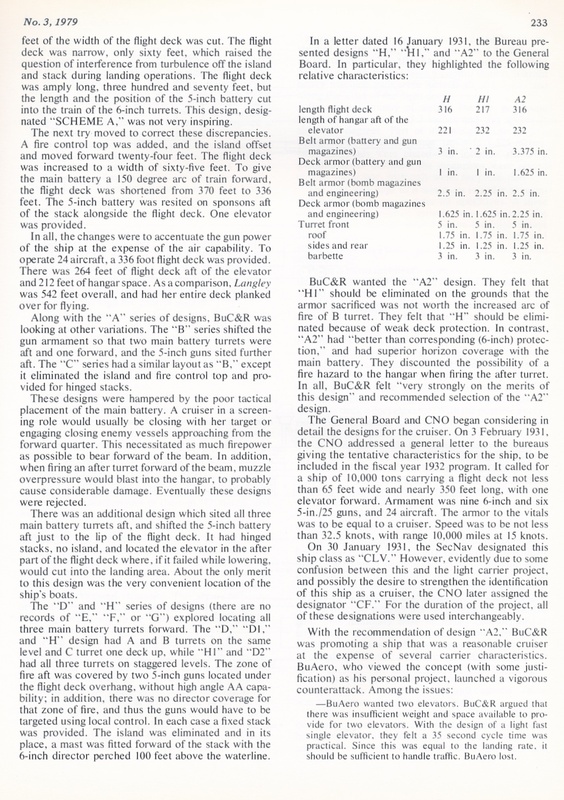 This is an extract from “The USN Flight deck cruiser, by Alan D. Zimm, Warship International, N°3, 1979”. 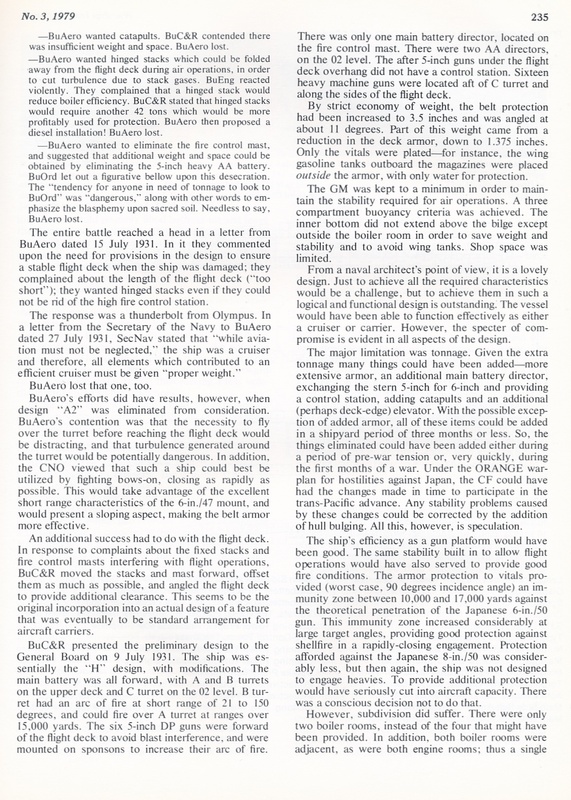 The described designs are from December, 1930 to June, 1931.